The epic battle for the future of mankind is fought between an angel of light and an angel of death. My Brother Jonathan is a 1985 BBC five part mini-series that relates the story of an idealistic doctor, Jonathan Dakkers, in the coal country of England during the period around WW1 and a love triangle. During a holiday study in France, a girl meets the great love of her life, but the boy is involved in terrorist activities and that puts serious crisis on their relationship. A British art expert travels across America in order to purchase a rare Renoir painting in the South but comes across some crazy characters in the process. Library Scholar: [to Gideon Harlax] Young man! If you must fantasize, do so elsewhere! I first saw this when I was 10 years old and it baffled me. As it's never been repeated or made commercially available I've been waiting ages for a DVD release to see if I can make sense of it. It's a film that deserves a second look, without a doubt - and thankfully the audio commentary with the director and writer explains so much, because without it you'll still be scratching your head and muttering "what the hell was that all about..." In particular, that strange, terrifying Eastern-block country Gideon finds himself in. Fepiz! was the title of DC Thompson's Dandy comic that is seen next to a copy of his own book, and for some reason it's that image that has always stayed with me since '81. Listen to the audio commentary for an explanation of that strange language and the city as a whole. A fine and Fepiz work? 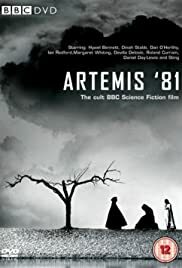 Not a masterpiece by any means, verging on the pretentious at times but brave, ambitious and with some disturbing imagery that will remain with you for a long time.